Pork is a highly versatile addition to any menu. We offer a range of cuts, including Belly, Pork Chops, Steaks and Ribs. 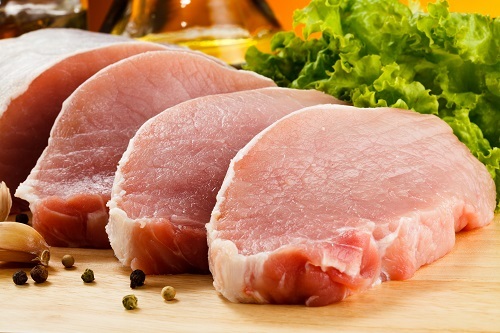 To ensure that the pork we sell is of excellent quality, our buying department have stipulated a number of product specifications with suppliers. When selecting our whole pigs, a “probing” method of selection is used, this checks the level of fat on a carcass. The level should not exceed 13mm to provide a lean meat, however it must not fall below 8mm to ensure succulence of the finished cooked product. Trust Yorkshire Dales Meat Company to supply your business with quality, succulent pork products. Please see below for a selection of the pork products we offer. If you are looking for something which isn’t on this list, please get in touch with us.